Dr. Mitchel Shields received his Bachelor of Science degree from the University of Toronto. He graduated from the University of Toronto Faculty Of Dentistry in 1992. 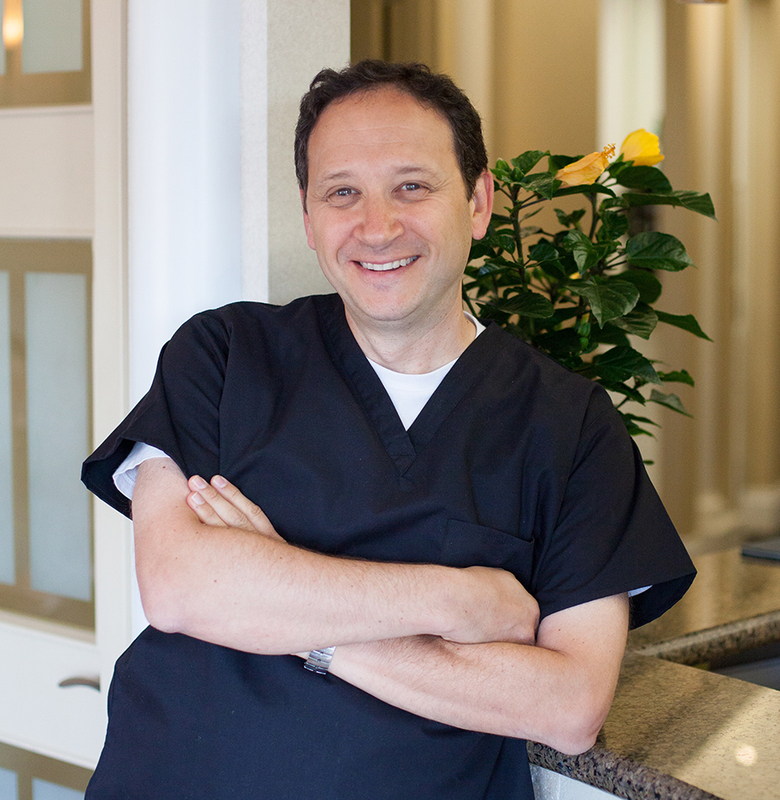 He began providing dentistry as an associate dentist in Toronto and Pickering before opening his Ajax dental office. Dr. Shields founded Discovery Dental with the concept of a small town dental office, but with big city services and technology. In order to continually offer the most up-to-date treatments, Dr. Shields is a committed life-long learner. He continues his professional development as a member of the Toronto Central ITI (International Team for Implantology) Study Club focusing on dental implants and cosmetic dentistry, the Canadian Dental Association, Ontario Dental Association, and the Durham-Ontario Dental Society. He also attends continuing education courses that include training in short-term orthodontics, restorative dentistry, dental implants, root canal treatments, and headache prevention. Beyond his work as a dentist in Ajax, Dr. Shields enjoys time with his family. He and his wife, Renee, have been married since 1988. They live in Toronto and are the proud parents of five children. As the spouse of teacher, Dr. Shields is highly involved in education. He is the President of the Board of Directors of the faith-based high schools their children attend. He is also actively involved in his synagogue having served on its Board of Directors and as its President. Discovery Dental is located in South Ajax in the Discovery Bay Centre (adjacent to the Giant Tiger), at the corner of Westney Road South and Lake Driveway (South of Bayly). Our address is 570 Westney Rd S, Unit 9, Ajax, Ontario. Please call (905) 428-0188 if you have any questions or would like to make an appointment.